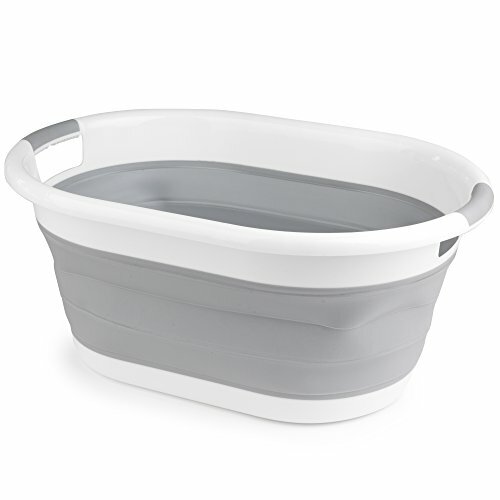 Make light work of laundry with the Beldray collapsible laundry basket, fantastically easy to clean and with convenient carry handles, the basket is an essential household item. Cleverly designed with durable plastic that is completely break resistant, the basket is practical and strong whilst also being incredibly flexible and easy to expand or collapse. Measuring at just 60 x 44 x 8.5 cm whilst folded, the bucket is compact enough to fit under the sink, in your car boot or kitchen cupboard. A simple solution when you are in need of saving space, after using this Beldray laundry basket it can be folded away for storage. An essential item for quick visits to the laundrette, the basket is fabulously lightweight and will take up minimal space in your home. Perfect for sorting through dirty laundry, the basket is made from durable plastic which can be effortlessly wiped clean in seconds.